This ROM comes with many new features. Pac-Man a lightweight ROM focused on performance, battery, and stability, this ROM based on CM 13. It looks like the stock android. Fast more than cool UI, stable and good performance. If you are Coolpad Note 3 user and fan of Pac-Man ROM, then you must test this new CM 13 based Pac-Man ROM for Coolpad Note 3. Just flash this Pac-Man ROM and enjoy the experience of Marshmallow UI on your Coolpad Note 3. 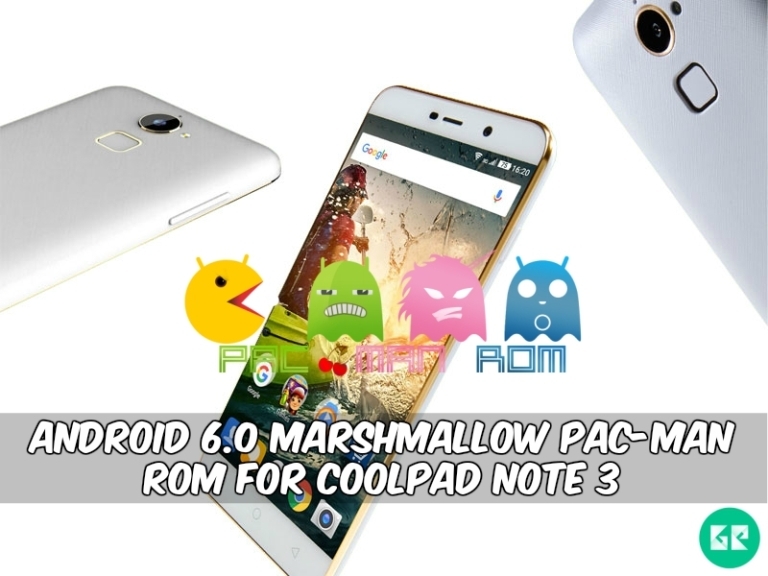 Finally today we got Pac-Man Marshmallow ROM for Coolpad Note 3 [MT6735] device. So today we want for share Pac-Man custom ROM. This is the based on CM 13 android 6.0 with many new features. We know that CyanogenMod is the best custom ROM for any device. It is most optimized and able to customized ROM. If you want to flash this Pac-Man 13 ROM then TWRP recovery needed. If you already installed recovery then let’s begin with the tutorial. Create nandroid Backup You’re all phone data. Your device must be running Kernel version -3.18.19. Make sure your device rooted and install TWRP recovery. Need 50-60% charge for flashing in your device. Download Pac-Man ROM and Gapps from below “download” section. If you new in this process then please read instruction before process. Download “pacromv2_CP8676_I02.zip” and “gapps” & copy both files to SDcard or internal memory of the phone. In recovery go to “wipe cache partition ⇒ advanced ⇒ wipe Dalvik cache“. Back to the previous menu and select “Install“. First chose internal storage or SDcard in browse selection. Select “pacromv2_CP8676_I02.zip“ file from the list to flash it. Wait for the installation to complete and then reboot your device & enjoy. Note: – The first Time It’s Takes 5-10 Minutes To Boot.